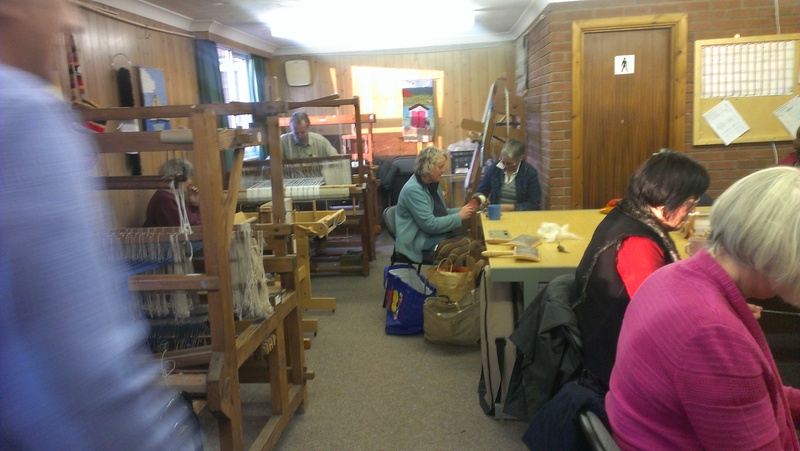 Several of our visitors from the Worstead Weavers Weekend event came back for more on Tuesday to see what we get up to in our meetings (Tuesdays 7-9 pm, every other Saturday 2-4 pm). What a fantastic turn out! 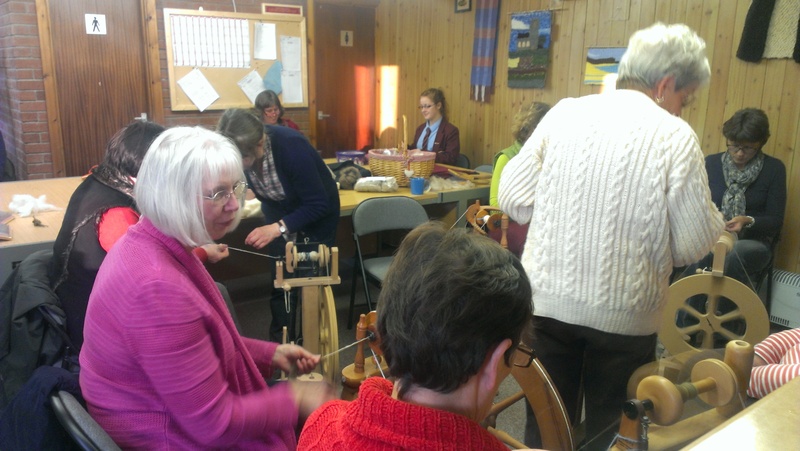 Our members got stuck in helping our visitors try out some hand-spinning. 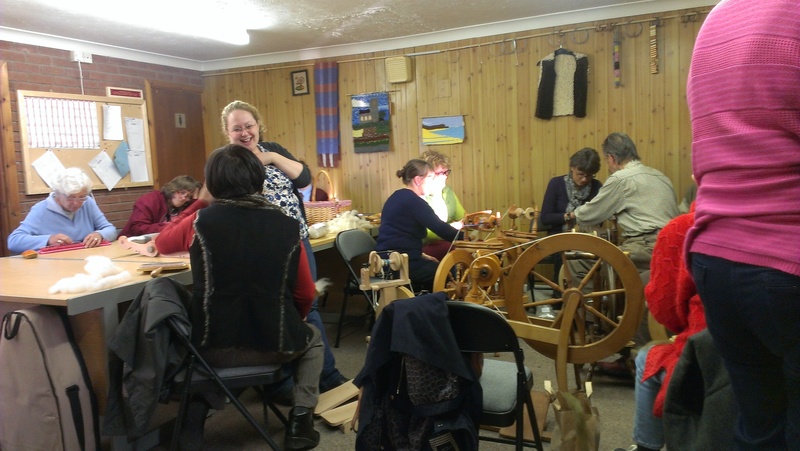 It was wonderful to see so many new members joining us, enthusiastic about fibre and learning about our heritage crafts. I think we all made a few new friends! A big welcome to our newbies! 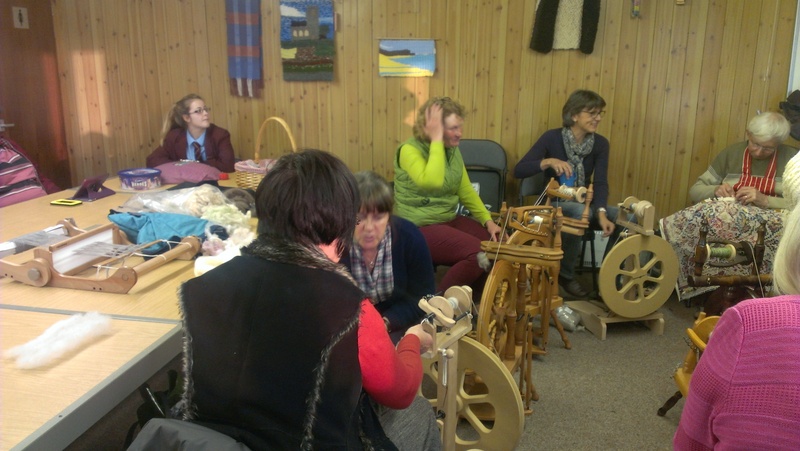 ← Worstead Weavers Weekend Success!